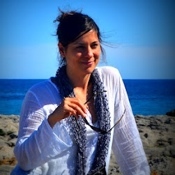 Traveler Review for Private Tour in Ciudadela, Islas Baleares, Spain by Tour Guide Isabel M.
About Isabel M. Message Isabel M.
Isabel was fantastic! She met us at the airport (with a nice welcome gift) and we spent the entire day on a tour customized by her accommodating our requests for our one day visit. I would highly recommend hiring her. We were completely satisfied with our day trip to Menora thanks to Isabel.